Here’s a lazy posting for the day. 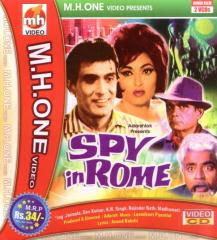 It’s a link to Die Danger Die Die Kill and the Bollywood Spy film, Spy In Rome. Over at Die Danger Die Die Kill, for those you want to venture further into the strange and neglected world of Indian, Thai and Mexican movies, allow Todd Stadtman. to be your guide. Todd’s worldly and witty reviews take you to the far flung corners of the world, and if you’re lucky, will then safely guide you out again. To read Todd’s review of Spy In Rome Click here.